As things stand right now, there are only two states in the nation where drivers are not allowed to pump their own gas: New Jersey and Oregon. Both states have legislation pending that would put an end to the days of full-serve only, but a powerful Garden State legislator has made it known that there will be no self-serve on his watch. Lawmakers in New Jersey recently introduced a bill that would roll back the state’s 1949 Retail Gasoline Dispensing Safety Act by decriminalizing self-serve gas. It would also allow for a three-year transition period where gas stations would be required to keep at least one full-serve island during that time. However, State Senate President Stephen Sweeney, who decides which bills get put up to a vote, is not only vocally opposed to the idea, he’s flat-out said that any legislation legalizing self-serve might as well be dead-on-arrival. If Sweeney is true to his word and blocks any vote on pro-self-serve bills, the earliest that a vote could happen would be after the current senate session ends in 2017. There are good arguments for and against mandatory full-serve. On the one hand, it is nice to have someone else deal with the pumping, especially in unpleasant weather. And it certainly is helpful for drivers who have difficulty getting in and out of their vehicles. But anyone who has ever pulled into a NJ Turnpike rest stop to see long lines at the gas pumps because there aren’t enough attendants, or who have waited too long to get gas because an attendant is overwhelmed with too many customers at once, knows that some of these problems can be alleviated by just allowing drivers to pump their own gas. 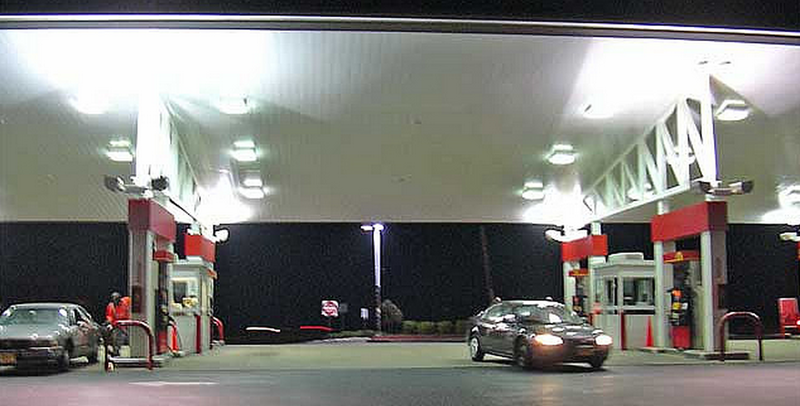 The lower labor costs of operating a purely self-serve station are also seen as a reason for getting rid of full-serve, though it’s worth noting that most gas prices in New Jersey are already lower than they are in neighboring New York and Pennsylvania where self-serve is the norm. The AP reports that a full-serve attendant adds about $.05/gallon to the retail price of gas. If the gas station operators in NJ were to cut staff, would those savings be passed on to drivers?